Cucumber is a mandatory component of various dishes. Especially popular this vegetable becomes in the summer, when cucumbers are sold everywhere. To understand this abundance is not easy. Observing the following recommendations, you will be able to choose a quality and tasty pickles to your table. The first thing you should pay attention when choosing cucumbers – their appearance and color. Choose vegetables with bright green skin and firm structure. The color of fresh cucumbers – a rich, but not too shiny. If the cucumbers have in the skin unnatural glare, perhaps they waxed or stuffed with fertilizer. To the touch the vegetables should be firm and strong, not to have on the surface of dark spots, bruises or cracks. Look carefully at the tail, if it looks too limp and wilted, so before you cucumbers are not the first freshness. If you still got flabby and dried cucumbers, they can revive, dropping into a dish of cold water. After a few hours they will regain its elastic form. Do not choose too large cucumbers. The optimal size for the most popular cucumber varieties, 10-15 cm Too big cucumbers are overgrown, often have a watery taste and a large number of seeds. Another sign that the vegetable has outgrown yellow color. From buying such yellowed cucumbers also should refrain. In addition, small cucumbers taste bitter much less than great. Another significant factor about the quality of the product is its fragrance. If possible, smell the cut vegetable. The smell should be fresh, typical of cucumber. 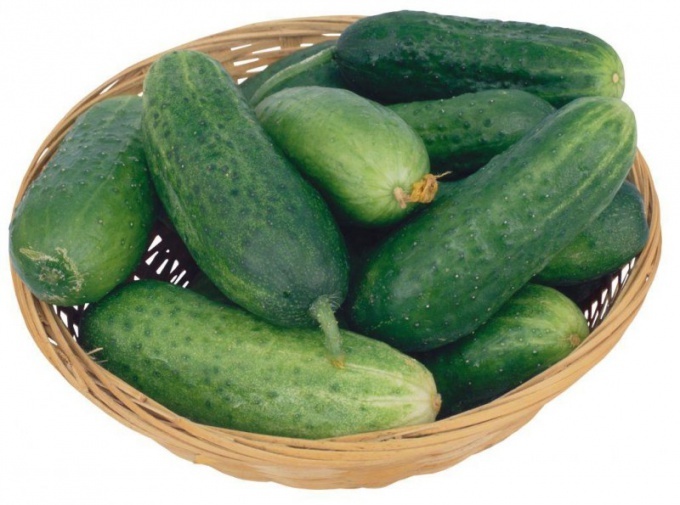 Do not buy cucumbers which smell of adulteration, especially chemicals. Cucumbers are very delicate and capricious in storing vegetables. Therefore, always pay attention to the places where the goods are located. The best place for them to be a cool room with high humidity, such as a refrigerator. Under these conditions, most cucumber varieties remain fresh for about 2-3 weeks. It is not recommended to keep vegetables for a long time in a plastic bag, so if you buy prepacked cucumbers, be sure to look at the date of packaging.